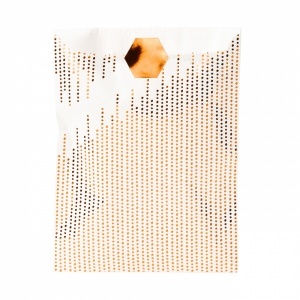 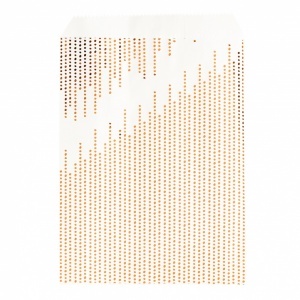 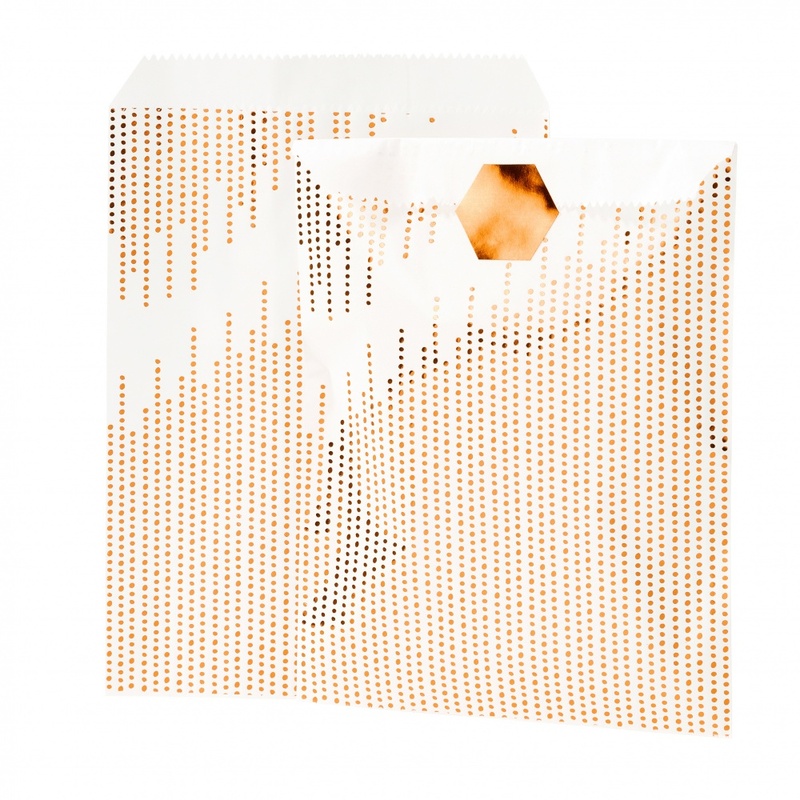 This pack of 8 copper mini polka dot paper treat bags are perfect for stashing sweets, stylish party bags, or wrapping small gifts. 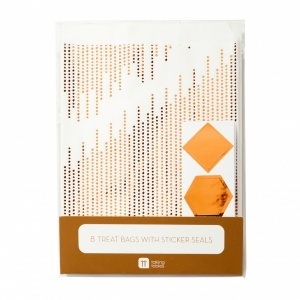 The pack also contains sticker seals for each bag. 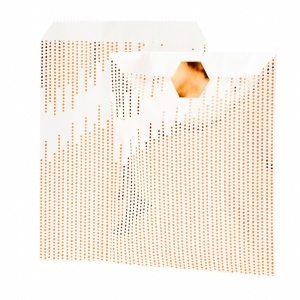 Sized 12.5 x 16.5cm and made from glassine paper, these bags are suitable for food use.